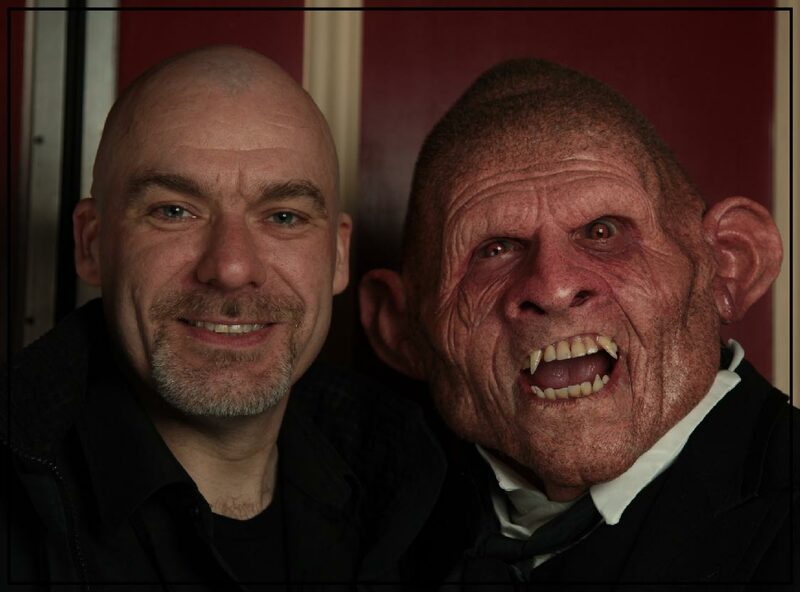 Neill Gorton will again be performing the role of MC on the Main Stage as well as doing a prosthetic application demo there with Stuart Bray. His career spans almost 30 years and has seen him win 11 industry awards with the company he founded in 1999, Millennium FX co-directed by Rob Mayor. He first worked in Hollywood aged 18 on horror movie The Unholy, and has since worked with acclaimed directors such as Steven Spielberg, Ridley Scott, Michael Winterbottom, Ron Howard and Joe Johnston, and on famous faces like Demi Moore, Johnny Depp, Clive Owen, Anne Hathaway, Benicio del Torro and Lady Gaga amongst many others. Neill’s film credits include movies such as ‘Victor Frankenstein’, ’Gravity’, ‘The Wolfman’, ‘Children of Men’, ‘The Da Vinci Code’, ‘Gladiator’ and ‘Saving Private Ryan’. His first major television job was managing the FX for Gerry Anderson’s ‘Space Precinct’ and has since worked on hundreds of shows including ‘Spitting Image’, ‘Tales from the Crypt’, ‘10th Kingdom’, ‘Silent Witness’, ‘Midsomer Murders’, ‘Torchwood’, ‘Being Human’, ‘Ant and Dec’s Saturday Night Takeaway’ and ‘Call the Midwife’. He has also created comedy characters for the likes of Steve Coogan, Catherine Tate, French and Saunders, David Walliams, Paul Whitehouse, Harry Enfield, Matt Lucas, Bo-Selecta, Dom Joly, Peter Kay and most recently Tracey Ullman. In addition to his industry work Neill has his own prosthetics school, Gorton Studio. He teaches internationally, is a Visiting Professor at the University of Bolton, an Honorary Fellow at Arts University Bournemouth and an advisor to the National Film and Television School.